Finding suitable websites to use with pupils can sometimes be challenging, as adverts or pay-walls often divert from what you want them to focus upon. 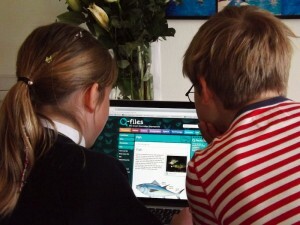 Coming across such distraction free web-sites can be a rarity in education, but one such site we have recently been introduced to – a child-friendly encyclopedia which covers a range of subjects in the areas of Science, History, Geography, Technology and the Arts – provides a wealth of information to support learning in the classroom or any home projects. The website, called Q-files, was launched this summer 2014. Q-Files is one of the most comprehensive educational sites we have come across, which is easily accessible for pupils and teachers alike, and the content is constantly updated and verified to check reliability and accuracy. Orpheus Books, who have created the site, readily assure teachers and parents the sources and facts on the website are accurate and up-to-date, saying, “An important feature of Q-files is that every page has been closely scrutinized and verified by academic experts.” The site already has nearly 1000 pages and is expanding fast, and is promising a to make Q-files available for offline browsing via a set of apps. But for now, this is a fantastic resource for use in the primary or secondary classroom, allowing ease of navigation without the distractions of many freely available educational websites.